1880 United States. Census Office. 10th census, 1880 federal population census, Washington, District of Columbia: National Archives and Records Service, ([19--]) , Census Place: Mossville, Peoria, Illinois; Roll: 240; Family History Film: 1254240; Page: 494D; Enumeration District: 199; . 1880 United States. Bureau of the Census. 10th census, Illinois, 1880 federal census : soundex and population schedules, Washington: The National Archives, ([19--?]) , FHL Film 1254240; National Archives Film T9-0240; Page 494D. 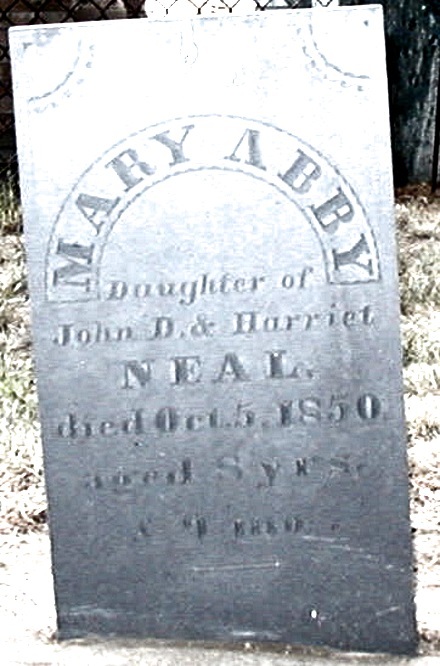 She was the daughter of John Dearborn Neal and Harriet Piper. 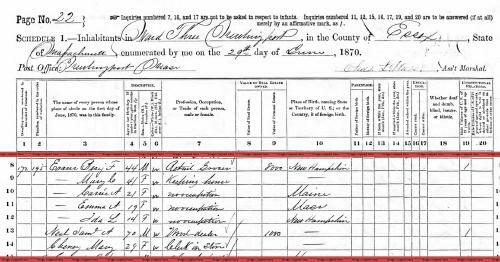 The census of 1850 shows: Gershom C. Ruggles, 40, a farmer, with $3000 real estate; and Mary C. Ruggles, 35; listed with John L. Ruggles, Moses N. Ruggles, Julia B. Ruggles and Sarah P. Ruggles. living at Rutland, Rutland County, Vermont. Ruggles, Gershom C. Mrs., h. 3 Evelyn. Ruggles, Mary C., widow of G. C., h. 16 Madison. 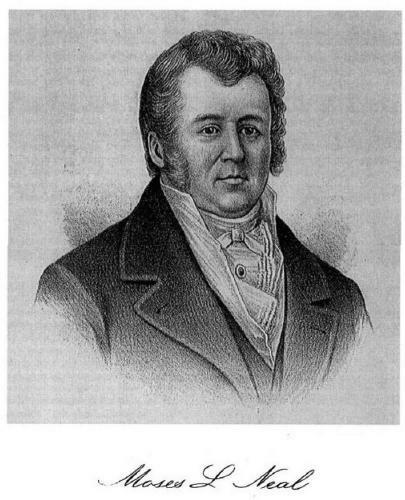 "Vermont, Vital Records, 1760-1954," index and images, FamilySearch (https://familysearch.org/pal:/MM9.1.1/XFV1-6QD : accessed 06 Nov 2012), Gershom C Ruggles and Mary Cheney Neal, 1835. 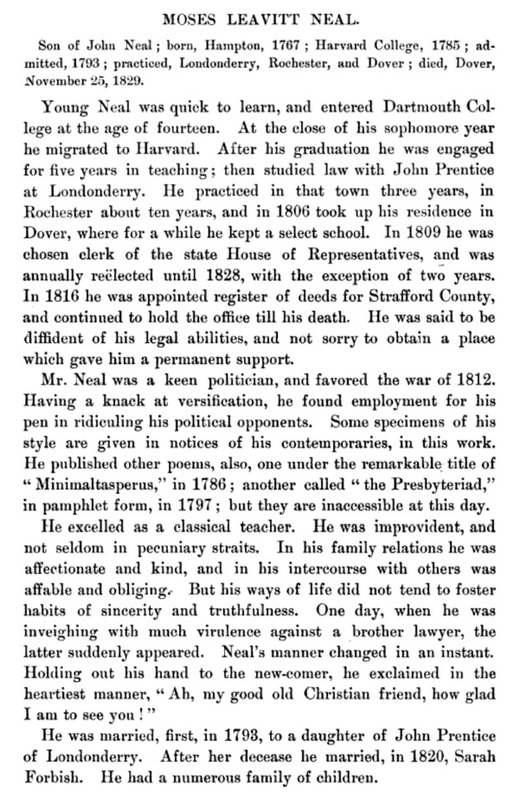 Marvel G. Swan and Donald P. Swan, Early families of Rutland, Vermont, Rutland Historical Society, (1990) , p. 325. 1880 United States. Census Office. 10th census, 1880 federal population census, Washington, District of Columbia: National Archives and Records Service, ([19--]) , Census Place: Rutland, Rutland, Vermont; Roll: 1347; Family History Film: 1255347; Page: 305A; Enumeration District: 188. 1900 United States. Census Office. 12th census, 1900 population census schedules, Washington, District of Columbia: Bureau of the Census Micro-Film Laboratory, ([197-]) , Census Place: Rutland, Rutland, Vermont; Roll: 1694; Page: 7A; Enumeration District: 0186; FHL microfilm: 1241694. 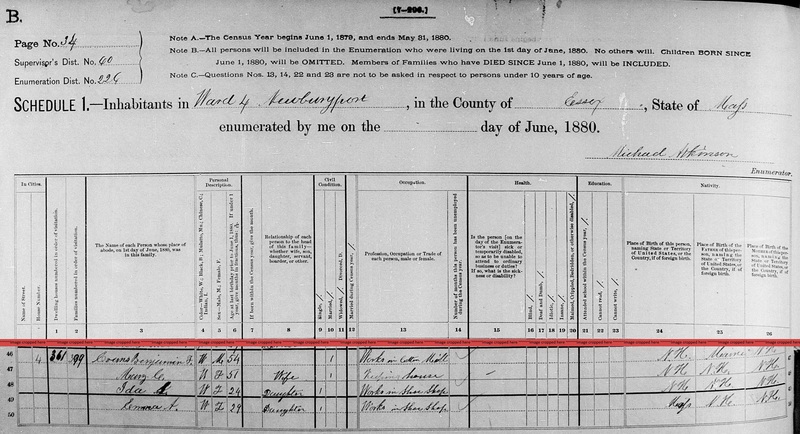 "United States Census, 1880," database with images, FamilySearch (https://familysearch.org/ark:/61903/1:1:M6PJ-95B : 14 July 2016), John P Neal, Montecito, Santa Barbara, California, United States; citing enumeration district ED 81, sheet 473D, NARA microfilm publication T9 (Washington D.C.: National Archives and Records Administration, n.d.), roll 0081; FHL microfilm 1,254,081. 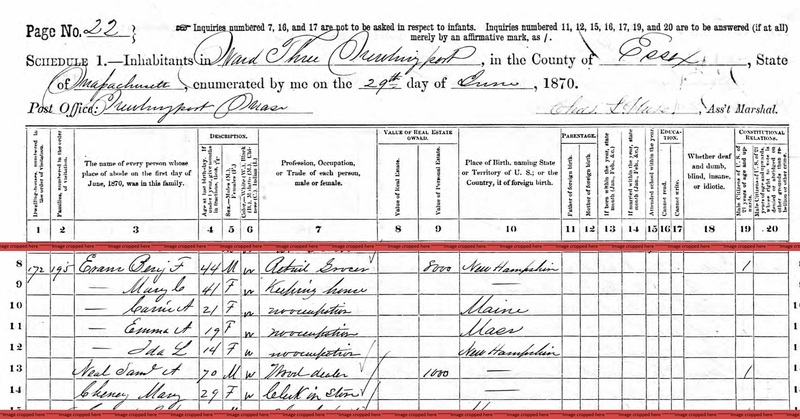 "United States Census, 1870," database with images, FamilySearch (https://familysearch.org/ark:/61903/1:1:M6H8-JPT : 17 October 2014), John P Neal, Illinois, United States; citing p. 11, family 76, NARA microfilm publication M593 (Washington D.C.: National Archives and Records Administration, n.d.); FHL microfilm 545,753. "New Hampshire Marriage Records, 1637-1947," database with images, FamilySearch (https://familysearch.org/ark:/61903/1:1:FL6G-RFP : 12 December 2014), George W. Jefts and Minerva Neal, 15 Aug 1840; citing North Hampton, , New Hampshire, Bureau of Vital Records and Health Statistics, Concord; FHL microfilm 1,001,271. "New Hampshire Marriage Records, 1637-1947," database with images, FamilySearch (https://familysearch.org/ark:/61903/1:1:FL6Y-K59 : 12 December 2014), George W. Hale and Minerva N. Jefts, 16 Jun 1873; citing Concord, Merrimack, New Hampshire, Bureau of Vital Records and Health Statistics, Concord; FHL microfilm 1,001,264. Joseph Dow, History of the town of Hampton, New Hampshire: From its settlement in 1638, to the autumn of 1892, Vol. 2, , at https://archive.org/details/historyoftownofh02dowj . Salem, Mass. : Printed by the Salem Press Publishing and Printing Co., (1894) , Vol. 2, p. 881. Find A Grave Memorial# 41110196. There is no man in Peoria County who has had greater success, or accumulated a larger fortune by his own efforts through economy, close application and steady habits, than Moses L. Neal. He has never been a speculator, but has acquired his possessions chiefly from products of the soil, although he is at present extensively interested in city property. He is a quiet, unassuming man, giving no indications of great wealth in his outward appearance or manners. His pleasant home is located on some of the bet land in the county, his landed estate in Medina Township amounting to more than one thousand acres, subdivided into farms of practical size. He also owns more than a thousand acres in Missouri, together with lands in other sections, and some of the finest blocks of Peoria City property. He likewise holds $35,000 worth of property at Austin, one of the recently annexed suburbs of Chicago. When it is known that these large worldly possessions have been gained chiefly by Mr. Neal’s personal efforts, it will be understood that he has been a busy man, and has made good use of his capital. He came to the Prairie State with his parents in the spring of 1838. He had the advantages of a common-school education, a thorough knowledge of hard work, and the family pride due to a long line of honorable ancestry. When the family reached Illinois, they located in Medina Township, Peoria County, in a sparsely settled section, where, however, they had a few good neighbors. In the midst of the beautiful prairie region, rich and productive, but uncultivated, the father secured a tract of land, where his son assisted in the pioneer labors under home influences, which developed the sturdy and generous qualities which he possessed, and led him to thoroughly appreciate all that is noble and enterprising. Find A Grave Memorial# 24062961. 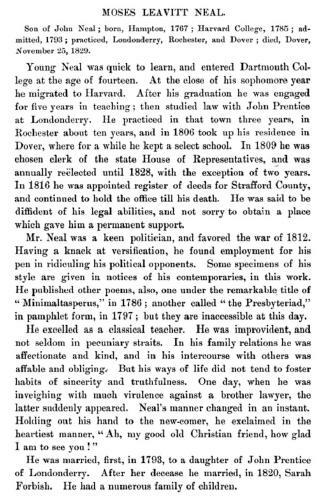 Unknown author, "First Congregational Church Records, Rochester, N.H.", The New Hampshire genealogical record Vol. IV (1903): p. 30. Harvard University, Quinquennial Catalogue of the Officers and Graduates, The University, (1905) , p. 139.
lived many years in Italy -- Rome, Turin, Florence, etc. 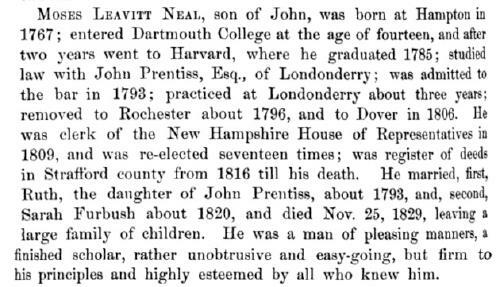 He was the son of John Neal and Mary Leavitt. I (Steve Levine) am in possesson of an ambrotype of this portrait, which has been passed down in the family for generations. 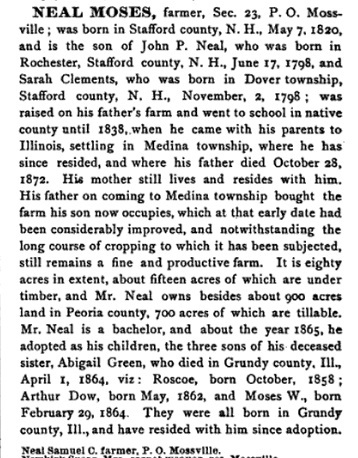 "New Hampshire Birth Records, Early to 1900," database with images, FamilySearch (https://familysearch.org/ark:/61903/1:1:FLPB-3QS : accessed 26 November 2015), Moses Neal, 19 Apr 1766; citing Hamilton, Rockingham, New Hampshire, United States, Bureau of Vital Records and Health Statistics, Concord; FHL microfilm 1,001,024. 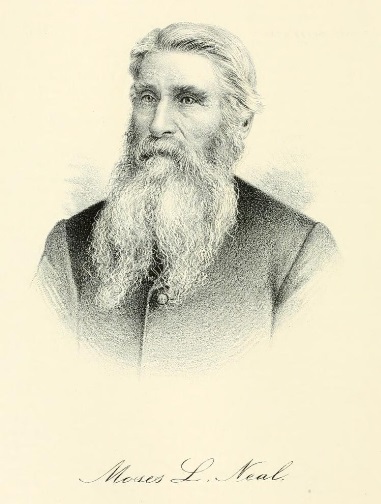 Unknown author, "First Congregational Church Records, Rochester, N.H.", p. 31. "Massachusetts Births and Christenings, 1639-1915," database, FamilySearch (https://familysearch.org/ark:/61903/1:1:FCVY-JJ3 : 4 December 2014), William Nightingall, 05 Sep 1692; citing BRAINTREE,NORFOLK,MASSACHUSETTS, ; FHL microfilm 833,387. "Massachusetts Births and Christenings, 1639-1915," database, FamilySearch (https://familysearch.org/ark:/61903/1:1:FCVY-JJW : 4 December 2014), William Nightengall, 14 Nov 1693; citing BRAINTREE,NORFOLK,MASSACHUSETTS, ; FHL microfilm 833,387. "Massachusetts Births and Christenings, 1639-1915," database, FamilySearch (https://familysearch.org/ark:/61903/1:1:V5NW-YT5 : 4 December 2014), Joseph Nitingall, 06 Nov 1695; citing HULL,PLYMOUTH,MASSACHUSETTS, ; FHL microfilm 0873789 IT 2. "Massachusetts Births and Christenings, 1639-1915," database, FamilySearch (https://familysearch.org/ark:/61903/1:1:FCVY-8QJ : 4 December 2014), John Nightingal, 17 Apr 1698; citing BRAINTREE,NORFOLK,MASSACHUSETTS, ; FHL microfilm 833,387. Loretta Neal Albers, "Re: Neal genealogy," e-mail message from e-mail address to Steven G. Levine, 3/29/2004 7:28:38 PM. Loretta Neal Albers, e-mail message from e-mail address to Steven G. Levine, 3/29/2004 7:28:38 PM. 1910 United States. Bureau of the Census. 13th census, 1910 population census schedules, Washington, District of Columbia: Bureau of Census Micro-Film Lab, ([19--?]) , Census Place: Medina, Peoria, Illinois; Roll: T624_317; Page: 9A; Enumeration District: 63; Image: 253. The Peoria Journal Star, The Peoria Journal Star, Inc, , Date: October 9, 1992, Page: C11. Massachusetts Deaths, 1841-1915, at https://familysearch.org, Vol. 229, p. 239, Film Number: 960196, Digital Folder Number: 4221411, Image Number: 260. 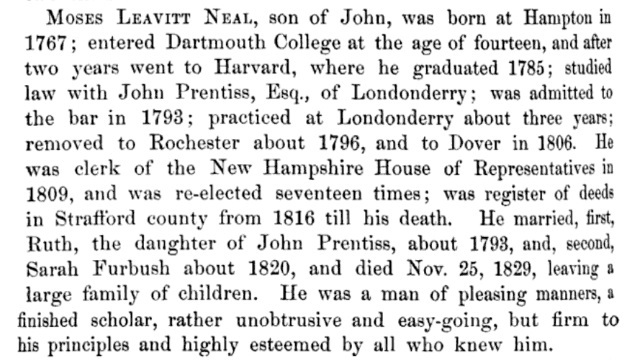 "New Hampshire, Death Records, 1654-1947," index and images, FamilySearch (https://familysearch.org/pal:/MM9.1.1/FS2Y-38X : accessed 07 Dec 2012), James A Neal, 26 Sep 1898.